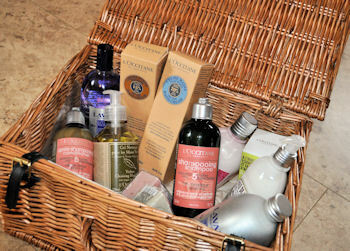 It is a fabulous prize with lovely shampoo, conditioner, eau de cologne, soaps, face, body and foot creams, and more. It is an absolutely fabulous gift. I don’t win things very often, so this is a very welcome prize. « Making Soy Milk (Dairy Free) at Home Is this a Fabulous Food Find ? ?